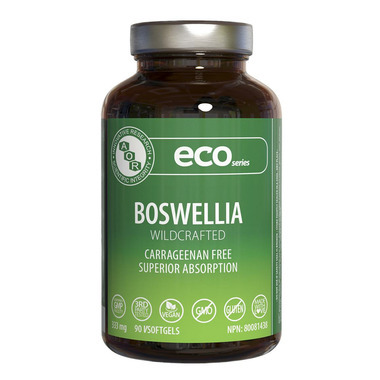 AOR offers a highly absorbable form of Boswelliua for inflammation and pain relief. What makes Eco Series line special? The most notable difference to AOR’s Eco Series softgels is that they are 100% vegan and carrageenan-free. Most softgels on the market today are gelatin-based, meaning that they are derived from a process that involves boiling down the hoofs, bones, and connective tissue from animals until a gel-like substance is formed. The main advantage of gelatin-based softgels are they are generally less expensive than their vegetarian counterparts, but their use of animal by-products makes them less universally accessible. Furthermore, other vegan softgels on the maret are also likely to contain the controversial additive, carrageenan which AOR's do not.